Fallout 3 begins in Vault 101, an underground nuclear shelter that’s been sealed away from the outside world for well over a century. When the player character reaches the age of sixteen, they tussle with a group of obnoxious delinquents calling themselves the Tunnel Snakes. They’re greasers in the classic mould, with leather jackets, slicked quiffs, and bad attitudes. This is Fallout’s thing, of course. Its world is a kitschy retro-future, as predicted on the pages of pulpy 1950s science fiction. But replaying the game recently, it struck me just how little sense the Tunnel Snakes make, even in this fantastical, stylised universe. Think about it. They’re greasers—a subculture that emerged around a passion for motorcycles, hot rods, and kustoms—in a closed-off bunker of narrow tunnels, where where there are no roads or vehicles to speak of. Then there’s those matching leather jackets they all wear with the intricate snake emblems on the back. Where did they get them? How did they make them? The Tunnel Snakes being jerks. According to Fallout lore, Vault dwellers wear matching blue-and-yellow jumpsuits with the number of whichever one they happen to live in printed on them. So why are the Tunnel Snakes wearing these jackets, and where do you get a biker-style leather jacket in a place that, presumably, has limited raw materials and no means to produce them? Where did they get the leather? “Jesus, who cares?” you’re probably thinking to yourself. “They put greasers in because it’s a ‘50s thing, and Fallout is a riff on ‘50s American culture, and they needed some kind of antagonist for the player during the Vault sequence.” Yeah, sure, I could suspend my disbelief—and they are pretty funny, I suppose—but, to me, they’re indicative of a larger problem in game design: style over function. Stanley Kubrick was a filmmaker known for his obsessive attention to detail. In the documentary ‘Stanley Kubrick’s Boxes’, journalist Jon Ronson digs through crates of archive material from the production of the late director’s films, revealing the meticulous, fastidious research that went into their creation. Dave Bowman travels beyond the infinite in 2001: A Space Odyssey. Mind-bending sci-fi epic 2001: A Space Odyssey demonstrates this perfectly. Everything in the film—from those great, spinning space stations to the infamous zero-gravity toilet on Heywood Floyd’s shuttle—was designed with its function in mind. Kubrick and his team thought about how these things would actually work, and their designs were informed by science and astronautics, not by what looked cool. “It looks cool" is, unfortunately, the only thought that goes into a lot of video game designs—the costumes in Assassin’s Creed being a prime example. The hood is an elegant, recognisable visual link between the games, but can you imagine sprinting and climbing around the Caribbean in Kenway’s elaborate pirate get-up? Or hopping across the sun-battered rooftops of Constantinople in Ezio’s frilly layers? Altaïr’s white robes made more sense in the first game. There were fewer layers, increasing his mobility and keeping the Middle-Eastern heat at bay, and he could blend in with those groups of robe-wearing scholars. But with every game, more bits have been added to the costumes, and now they just look over-designed. They’re supposedly a secretive, underground order of hired killers, yet they all wear matching hooded uniforms and elaborate belt buckles in the shape of their logo. Imagine how much he's sweating under all that. There’s a bit in Aliens: Colonial Marines where you discover that Weyland-Yutani have—surprise, surprise—been conducting sinister, top secret experiments in the famous derelict ship. Except all the equipment and storage crates littered around the place bear their logo. Not to mention the fact that the crashed ship would have been destroyed by the explosion at the end of Aliens along with Hadley’s Hope. Gearbox tried to retcon this in some follow-up DLC, but I’m not buying it. They just thought, hey, wouldn't it be cool if you got to visit the derelict? And that’s where their thought process ended. To a lot of you, this will sound like nitpicking insanity. “Just play the game, idiot! Who cares about all these dumb little details?” you’re screaming at your monitor, red in the face. Well, I do, obviously. But beyond my own tedious appreciation for practical, considered design, it ultimately makes games better. Ridley Scott’s Alien is one of the most remarkable feats of production design in film, and still stands up to this day. Have you seen the Blu-ray? It looks beautiful, and hasn’t aged a bit, despite the chunky late ‘70s tech and flickering CRT monitors. This is thanks not only to the directing eye of Scott and the horrifying psychosexual art of H.R. Giger, but also concept artists Chris Foss and Ron Cobb’s contributions. Early Ron Cobb concept art for Alien's Nostromo. This is why 2001 and Alien still look amazing, despite being, respectively, 45 and 35 years old. “The interior of the Nostromo was so believable,” Giger said in Famous Monsters magazine. “I hate these new-looking spacecraft. You feel like they’re just built for the movie you’re seeing. They don’t look real.” Cobb, Foss, and Scott, like Kubrick before them, thought about the practicalities of the things they were creating, and they’ve become timeless as a result—something I hope to see more of in games as they slowly leave their adolescence and become a more confident, refined artform. 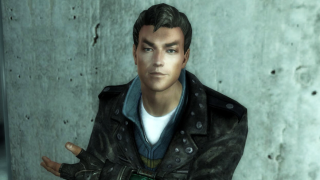 So maybe it doesn’t matter where the Tunnel Snakes got those leather biker jackets, or if they do indeed rule. But if video games are ever going to create worlds as enduring and convincing as the films mentioned here, and countless other examples I could list, they’re going to have to start thinking about their designs beyond just aesthetics and the shallow concept of cool.